Moving an extra-large, ultra-heavy load is a specialist job co-ordinated with military precision – and almost always executed in the dead of night. It also requires purpose-built, multi-wheeled trailers. 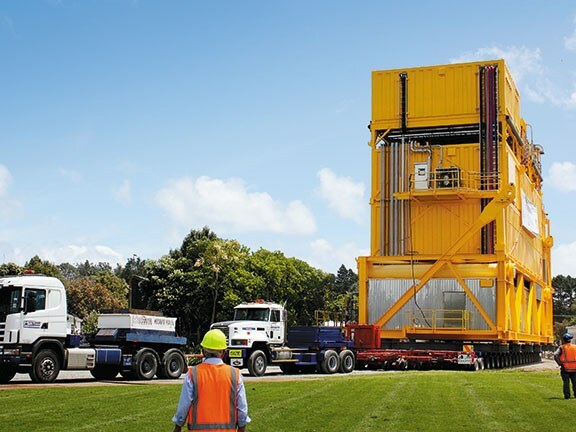 In November 2011 New Plymouth residents celebrated an unusual milestone – the successful delivery of a 650-tonne oil-rig component from its manufacturer, Fitzroy Engineering, to nearby Port Taranaki and a waiting ship. That the 12km journey took 10 hours offers some insight into the challenges of moving exceptionally large loads along suburban roads. It also throws the spotlight on the extraordinary trailer used to move a piece of equipment measuring 19m in height x 13m in width x 33m in length. 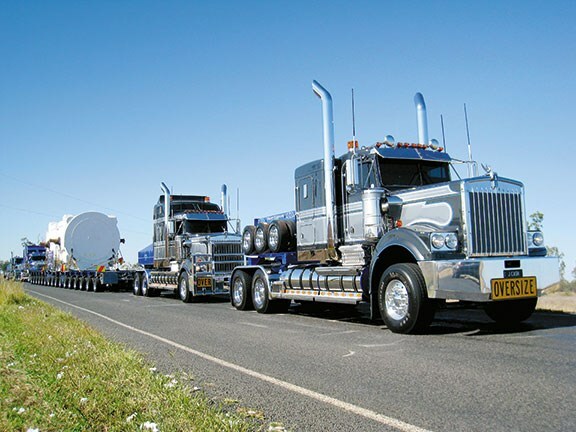 Sporting a staggering 304 wheels and a $3 million price tag, the remarkable trailer was built by Hamilton's Modern Transport Engineering (MTE), a division of the Modern Group – and today retains its record as the largest trailer ever built in Australasia. While unusual, shrugs managing director Robin Ratcliffe, the trailer is simply just another example of the company's day-to-day activities – designing and building specialised equipment for the Pacific Rim's heavy haulage, "difficult-to-move" industry. "Every day brings a new, different challenge – there's no such thing as a 'typical' load. We build trailers to move items ranging from houses and large yachts, through to high-voltage transformers, wind turbine blades and cable drums. The only common denominator is an awkward weight and/or shape and size," Ratcliffe says. The company's roots date back some 40 years to when Ratcliffe (a fitter and turner) built a one-off trailer for a friend wanting to move a house. 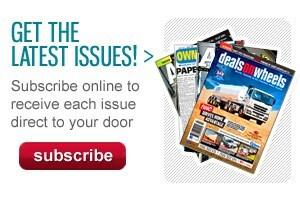 Today the organisation comprises five divisions and 140-strong team spread across facilities in Hamilton and Brisbane. And where that first trailer started off as a sketch on the back of the proverbial envelope, today's design team craft its creations with AutoCad and Solidworks. In addition to the size and sophistication of the trailers, MTE's work is also unique because many of its designs are modular. "Building a trailer for a one-off move is not cost-effective – it's a very expensive item. A modular design – comprising identical modules that can be re-configured to meet loads of different sizes – allows the trailers to be used over and over again." 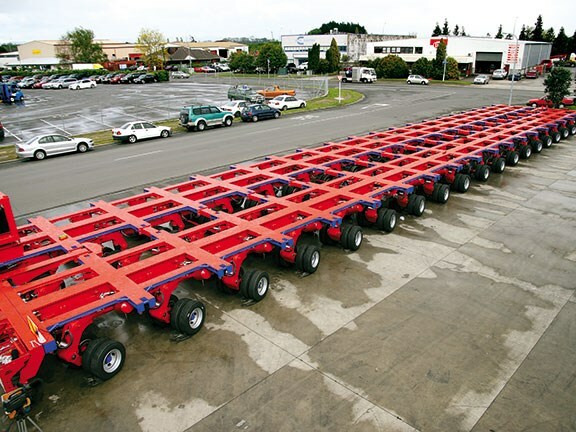 The large 304-tyre trailer used for the New Plymouth job, for example, has been re-used for a number of loads since that record-setting move. In fact, parts of it are en route to Fiji to transport a number of transformers over a difficult route featuring steep terrain with unsealed roads. By adding additional modules, the trailer can also be expanded to more than double its current size. While each trailer is built to the customer's specification, numerous variables must be factored into the design equation. "We don't get involved in determining the route," says Ratcliffe, "but we have to consider how it might impact on the design in terms of access, dimensions, terrain, the radius of a bend in the road, the height of an overpass or the carrying capacity of a bridge. "Of course, with the experience we've gained over the years, we know where the obstacles lie and the problems they might pose – so we're able to advise customers about preferred routes," Ratcliffe says. A trailer's carrying capacity is determined by many factors, including the number and spacing of its axles and wheels. But an equally important design consideration is the 'pavement ratio' – the load-carrying capacity of the road. "Bridges are all rated for loads, but the sub-structure of the road is also an issue and our designs have to accommodate it. Some roads are better than others, and that might dictate the route. "And just to complicate things we have to apply different calculations for separate countries. The vast majority of our trailers are exported – mostly to Australia. The soil structure there is very different to the clay found across most of New Zealand. 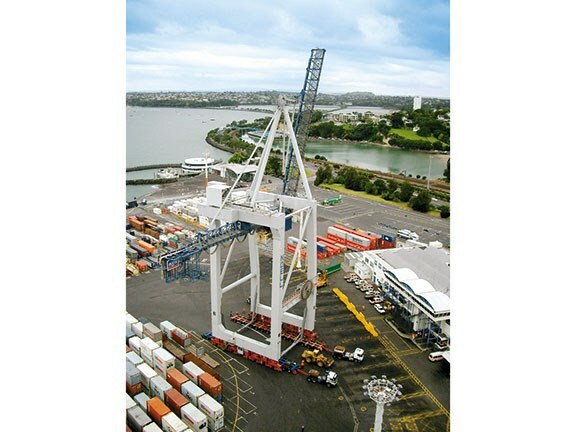 Moving a large load in New Zealand is often like driving over a water-bed," says Ratcliffe. High-grade, hardened steel – imported from offshore suppliers – is used for fabrication. More than three times the strength of ordinary steel (780 megapascals versus the 250 megapascals of conventional steel), chassis components arrive precision-machined and pre-cut to MTE's designs. Specialist steel demands specialist welding, says Ratcliffe, and that takes the team into the realm of metallurgy. "We have to have a thorough familiarity with the composition and behaviour of various steels and castings – and while every batch from the mills is delivered with test plates, we re-check it for hardness and carry out spectrograph analyses. 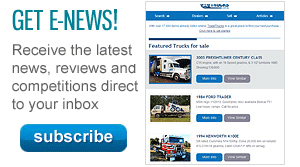 "At the end of the day these trailers are huge investments for the haulage operators. But they are carrying loads worth far more than the trailer, and they can't afford to get it wrong – so we can't afford to get it wrong. We have to be confident about the quality of the steel." Similarly, wheel-hub components and axle sub-assemblies are manufactured offshore to MTE specifications. While some trailers have fixed axles, many have independently-articulated wheels. Steering is synchronised through pneumatic and/or hydraulic control systems – driven by a large pump and diesel engine mounted on the trailer chassis. Tractors developing 500-600 horsepower are usually adequate for hauling loads of up to 100 tonnes. Heavier loads may require up to four or even six tractors – all pulling and pushing in unison. "Heavier loads also need trucks with specialised transmissions and differentials – usually a European 'hub-reduction' truck such as a Scania, Mercedes or Renault. It's the differential's configuration – rather than pure horsepower – that dictates the towing capacity. The enormous strain can create cooling problems, though, so the tractors are often equipped with large after-coolers." Trailers – usually fitted with specialist transport tyres pumped to about 125psi – are designed as goose-neck or drawbar models. Gooseneck trailers – hitched to the tractor's fifth wheel, are the preferred design for loads of up to 140 tonnes. Heavier loads call for drawbar trailers. "Traction is a major issue for the tractors – and with the gooseneck trailer the traction comes from the weight on the fifth wheel. On drawbar trailers the tractors are usually equipped with large weights over the rear axles to improve traction." A RO-RO ship – roll-on-roll-off – does the honours.